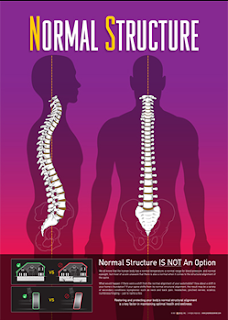 The unique focus of our practice is the advanced Structural Correction of the Spine. We realize that there are many choices when it comes to your health. Just with in chiropractic alone there are different techniques that all have something valuable to offer. The chiropractic profession serves as an umbrella to a large number of alternative approaches to health care. So its not surprising that there are so many definitions of what chiropractic is and what it is not. This is what MOST chiropractors offer in the way of care, and I believe that most of these folks do a great job at what they do. 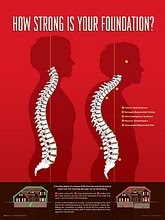 Unlike traditional chiropractors, here at Moore Family Chiropractic, we focus on the structural correction of the spine. We do this by utilizing specific structural corrective adjusting methods along with pre and post adjustment procedures in an effort to improve your condition. While our initial interest is the elimination or your pain, our fundamental goal is to restore your spine to as close to its normal alignment as is possible. While this isn't always possible, its important to understand that the closer the human body is to its normal alignment, the better it will perform. To recognize "abnormal", you must first be aware of what's normal. How do you know if you have a fever? How do you know you have high blood pressure? How about your vision? You know what's abnormal only because you know what's normal and it can be measured or tested. What would happen if there were a shift from the normal alignment of your automobile? How about a shift in your home's foundation? Whether familiar with them or not, there are in fact "normals" in all aspects of life. In many cases, life gives us warning signals so that we know when there's a problem. Just look at the dashboard of any given automobile and you'll see a variation of warning indicators letting you know when things aren't right (aka "normal"). Your spine has an has a normal alignment that allows everything with in it and around it to work better and be healthier. Most people are aware that the spine should be straight from the front, or back, view. If its not, most refer to this as a form of scoliosis. What most don't realize is that the side view has curves and a normal alignment as well that can be measured. Too much or too little of a curve can cause a variety of secondary conditions (symptoms). When it comes to normal, we’re not expecting anyone to be perfect. However, there is an acceptable range. 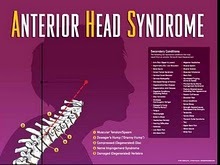 For example, if your head is displaced 20mm beyond what’s considered acceptable, you have Anterior Head Syndrome. Your head shifting forward is no different than your car being forced out of alignment or the foundation of your house sinking on one side by just a couple of inches. Because the underlying structure has been shifted (regardless of the reasons), this deviation of your skull puts abnormal stress on your muscles, tendons, ligaments, spinal bones, and discs- forcing them to be less efficient and easily injured. Structural shifts are movements away from what is normal. The bigger the shift, the bigger the problem. For example, what would happen if the foundation of your house sunk down on one side by just a couple of inches? Would it be reasonable to suggest that your floorboards would creak a little? Would you expect to start seeing cracks in your drywall? How about the windows? Would you expect them t open smoothly or not so smoothly? Would it be reasonable to expect there to be problems with your roof as a result of this shift? As you can see from the example above, the PROBLEM is a structural shift- but in this case, of the foundation of your house. Traditional doctors, regardless of what area of health care in which they fall, typically look at correcting the SECONDARY CONDITIONS- (see below), rather than focusing on the underlying cause. The traditional doctor would put an extra nail or two into your floor to stop it from creaking, would patch up your drywall, and would put a little WD-40 around the window to help things move a little smoother. Will all of those measures FIX the problem? What would you do FIRST if this were YOUR home? You would most likely let someone who focuses on repairing structural problems, come to your home and fix the foundation. After that, and after a little work on the secondary effects from the shift in the foundation, you’re good to go. Does that make sense? At first, minor abnormal shifts of area of the spine are nothing to worry about. No one has ABSOLUTELY 100% PERFECT alignment. However, no different than normal body temperature, normal weight, and normal blood pressure, there is a range of what’s acceptable and what’s unacceptable. Also take into consideration that we are always fighting gravity. Structural shifts make the body work much harder just to balance against gravity this whether you realize it or not. Over time this tug of war between you and gravity can lead to secondary conditions. How Do I Know If I Have A Structural Problem? 1. Spinal shifts side to side and/ or forward and backward. 2. Alterations of the normal spinal curves. 4. Spinal wear and tear or degeneration. At Moore Family Chiropractic we do a complete Structural Examination to determine whether or not you have a primary structural problem that is causing a secondary condition. The results are clear cut. Both you and the doctor can see the results because they are objectively measured. You don't need to take our word on it. It is what it is. As a matter of fact, many patients have the ah ha moment and wonder why these tests were not done before. In the world of "Health Care" there are many options to choose from. More often than not, the structure is not thought of as the primary problem and therefore the secondary conditions (symptoms) are treated. Most people start with there medical doctor who usually prescribes medication. If that doesn’t work out, the next step is usually physical therapy to stretch and strengthen muscles. Next on the list might be back to your medical doctors for some injections to try and reduce inflammation. Some even give traditional chiropractic a try. And in many cases, when those other treatments don’t work out, more invasive procedures. My intention is not to give you my opinion about those treatments but to give you a different perspective on how secondary conditions (symptoms) could be the result of a structural problem and therefore make the best decision for you regarding treatment. What Can Moore Family Chiropractic Do For Me? If we find that you have structural problem as a primary condition, we will make a recommendation for a plan of care that is specifically designed to address your case. In addition to the in office structural corrective care, you may also be asked to help your condition by wearing specific foot correctors, changing some ergonomics at home and work, taking specific nutrients, and doing a home exercises routine, etc... Anything that we feel is going to have an impact on the ability of your body to correct the primary structural condition. Naturally, we won't be able to give any specifics until we've thoroughly diagnosed YOUR condition. Once we have achieved our goals relative to your condition, it is our goal here at Moore Family Chiropractic to show you how to keep your spine in optimal health. For some, the (exercises, ergonomics, postural recommendations, etc..) that we give you as part of your plan of care, are what will help you keep your spine in check. There are some patients whose lifestyles will not allow them to keep up with our recommendations for an extended period of time AFTER they have completed their recommended plan of care. For those people, we offer a number of Protection Plans that consist of periodic visits. Naturally, the goal is to make sure that what we corrected STAYS corrected.